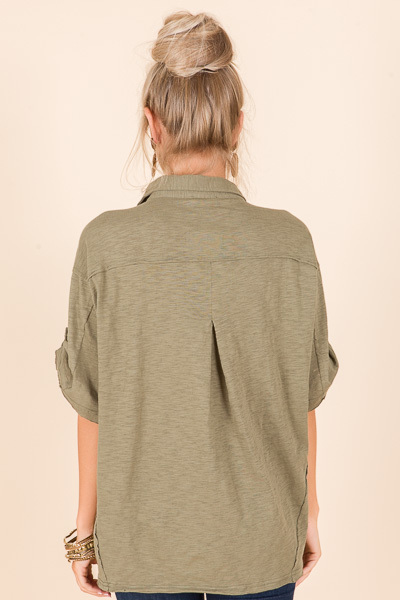 A button-down with a more laid back appeal! 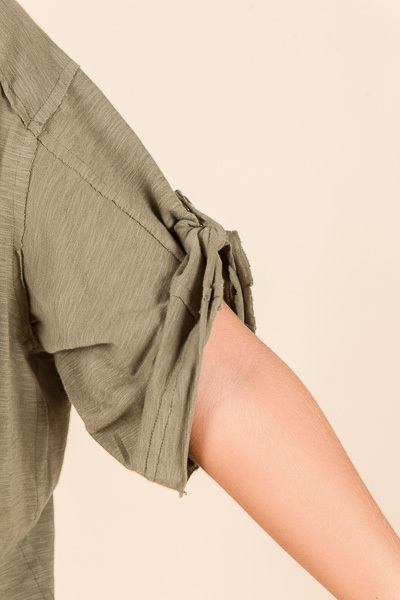 The army green color, 100% cotton fabric and tabbed sleeves give it a cool and comfy vibe. It'll quickly become a closet staple!